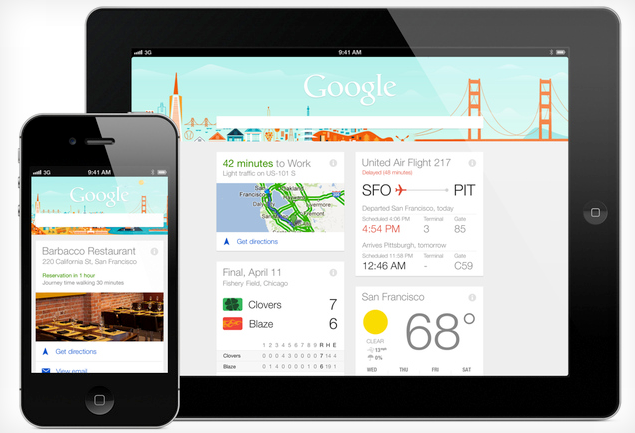 Google have updated their search app for iOS to include Google Now! The update offers most of the functionality it does on the Android with some exceptions, but for the most part this is the same in appearance and usage! Google have reiterated that the integration will be much better on a Google phone than on the iPhone though because of the restrictions which they're faced with. Either way this is a great addition to Apple's ecosystem and you can download the update here! According to reports Facebook seem to be losing users in countries in Europe and North America at the moment! The full report of the findings is available over at the Guardian, but it'd be interesting to find out if people are choosing other services instead of Facebook or whether Facebook is being supplemented by other social networks! It seems that this has prompted Mark to take a bit of a pay cut, right down to $1 in fact! A new study which was commissioned by the Financial Times has found that chat apps such as WhatsApp, ChatON, iMessage and BBM actually had more messages sent across them than SMS' were sent right at the end of 2012! It seems like carriers will need to invest in that data infrastructure a fair bit more! According to rumours over on SamMobile Samsung are poised to bring a new set of devices to the market which include an amoled equipped Galaxy Tab 8.0, Galaxy Tab 11 and the successor to the Nexus 10, which is set to be the Google Nexus 11, which is still waiting for approval from Google before Sammy push ahead with that! Gameloft is reportedly busy optimising 13 titles for Samsung's Galaxy S4! The list includes Asphalt 7, Modern Combat 4 and Dungeon Hunter 4 and ultimately Samsung are hoping this will give an 'unrivalled gaming experience' on their new flagship! O2 has signed a deal with BT in the UK for the latter to manage the new 4G network which the former is planning to build out. At the moment there's no suggestion that O2 will be using BT's spectrum. HTC are rolling out a new update to their HTC One flagship, which is live in the UK! The update is 229MB in size and is said to bring numerous fixes and improvements, with a special focus on the camera quality this time! There's a new personal assistant out for Android and this one is called Sherpa! The idea is that you can say things like 'Should I take an umbrella to work tomorrow' and you'll get a sensible answer instead of the Google Search which Google Now would typically return! This is also a great solution if you don't have a version of Android which supports Google Now because this app is compatible with everything back to Android 2.2! If you're interested in giving it a test run then remember it's a beta, but you can get it here! Calling all WebOS fans! Some of you might remember that OpenMobile were working on an App Compatibility Layer for the platform which would allow Android apps to run! Well it seems as though OpenMobile have teamed up with Pheonix to get the layer working and the pair have launched a KickStarter campaign to get the job done. Their initial target, assuming their funded, is to get everything done by July this year! You can check out the Kickstarter here! Huawei are said to be working at taking back the world's thinnest title from Alcatel! 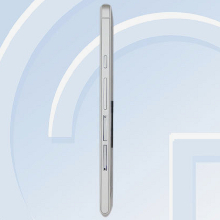 The Huawei P6 has supposedly been leaked by the Chinese certification body and the device is said to be a tiny 6.18mm thick! We don't understand this race to be super thin, but it's pretty sweet to look at nonetheless!